I’m staying in this Easter holiday to catch up on myself. I’m going to treat myself to seven days of looking after me. A retreat at home, of sorts. If the prospect of time to do whatever it is you wish you did more of sounds appealing, would you like to join me? I’d love some retreat-ing partners, anywhere in the world, for solidarity, support and motivation. My Retreat is going to include lots of vegetables and brown rice; home-made beauty treatments; and dedicated, focussed work on my university thesis. Your time out can include whatever you like. Absolutely anything. 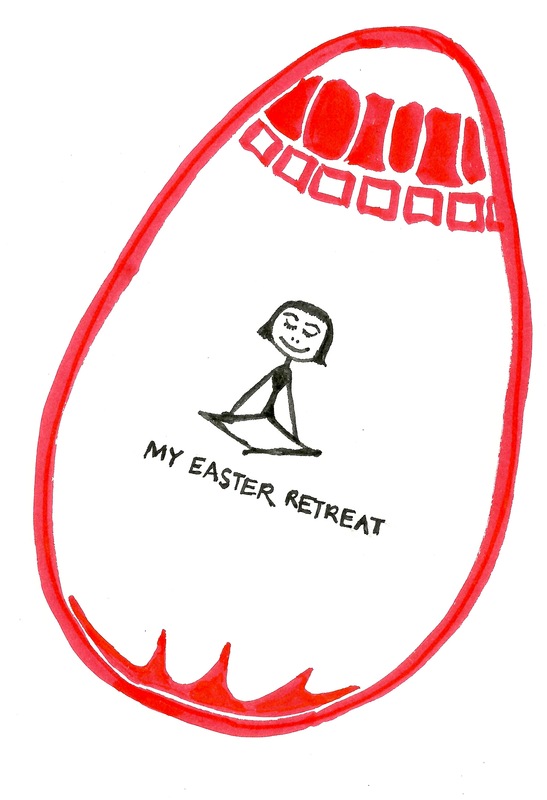 If you’re uber-serious and would like a bit of help devising an awesome retreat programme, drop me an e-mail at rachael@whatmybodywants.com and I’ll help you put something together that you’ll look forward to, enjoy doing and feel proud of afterwards.